Jesus was an incredibly unlikely messiah. Though Matthew and Luke later shaped his genealogy in an attempt to establish his royal messianic bona fides, Jesus was born to humble parents from a nowhere town in a backwater state among desperate peasants—peasants who had little hope of relief from what they assumed was the irremediably grim trajectories of their lives. That Jesus inspired hope among the hopeless peasants only made his refusal to incite the awaited revolution that much more confusing and heartbreaking. From the standpoint of his first-century followers, looking on in horror at the humiliating spectacle of his very public execution, Jesus was a lousy messiah. We can hear it in the disillusioned words of the disciples on the road to Emmaus: “But we had hoped that he was the one to redeem Israel” (Lk. 24:21a). Jesus’ life amounted to a sustained political argument about a new kingdom in which the socio-economic concerns of the forgotten would drive the political agenda … while his death amounted to the state’s deadly answer to such a political agenda. 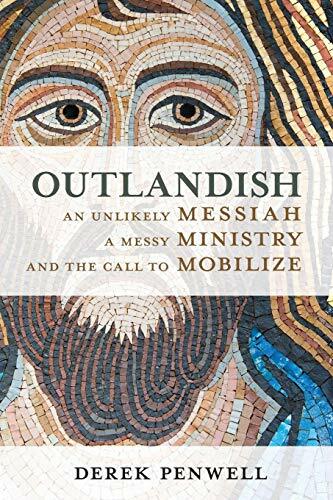 But the power of Jesus’ messiahship is its ability to transform, not the political to the spiritual, but to transform the despair of the vulnerable into the power to resist all attempts to render the vulnerable voiceless and their lives meaningless. Or, as James Cone argues, “We cannot find liberating joy in the cross by spiritualizing it, by taking away its message of justice in the midst of powerlessness, suffering, and death. The cross as a locus of divine revelation is not good news for the powerful, for those who are comfortable with the way things are, or for anyone whose understanding of religion is aligned with power” (The Cross and the Lynching Tree, 156).